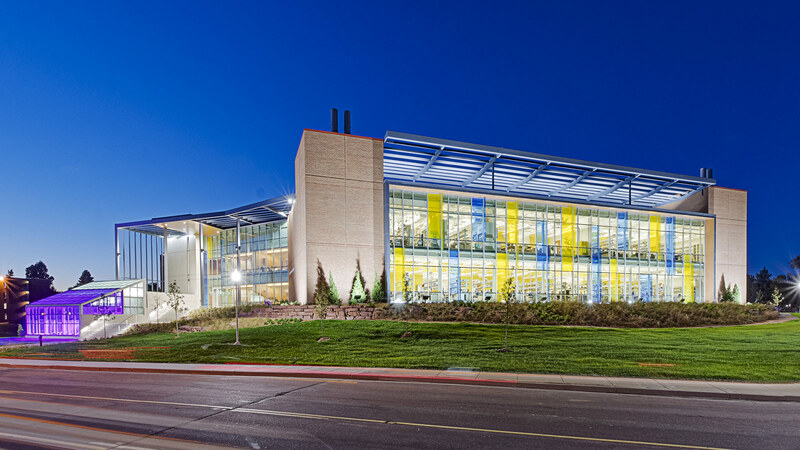 The Froiland Science Complex is the largest and most complex building endeavor in Augustana University’s history — dating all the way to 1860. 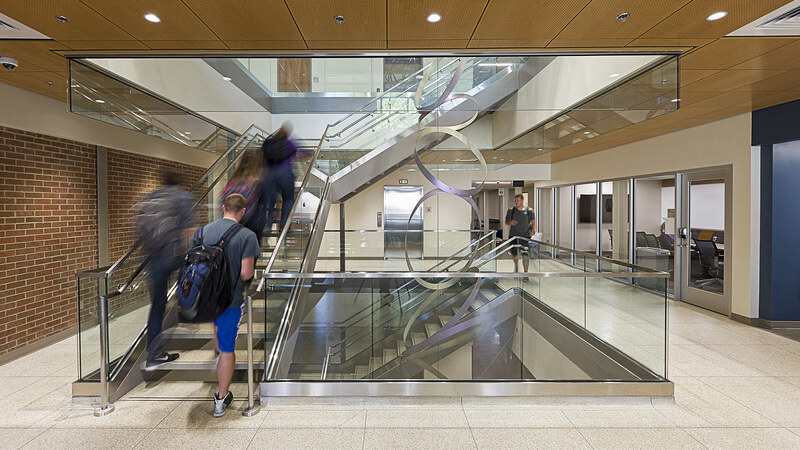 TSP’s relationship with the liberal arts college stretches back nearly half that time, and we’re excited to be part of the school’s leap ahead. 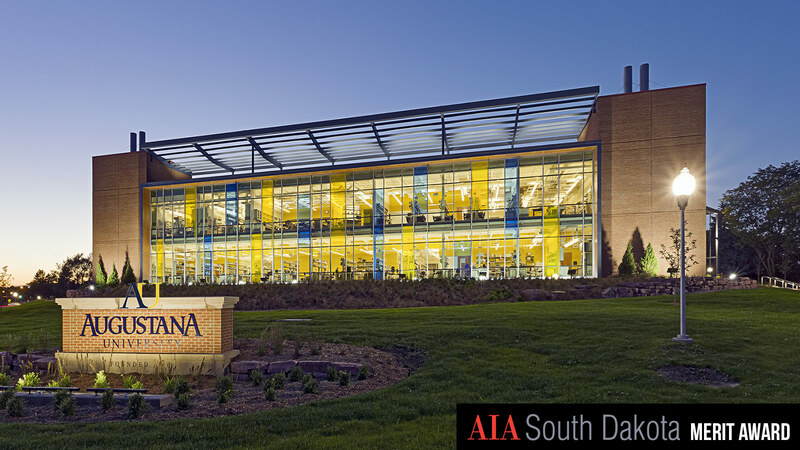 The state-of-the-art instructional and research facility re-invents an aging science building while putting science on display with a significant addition. 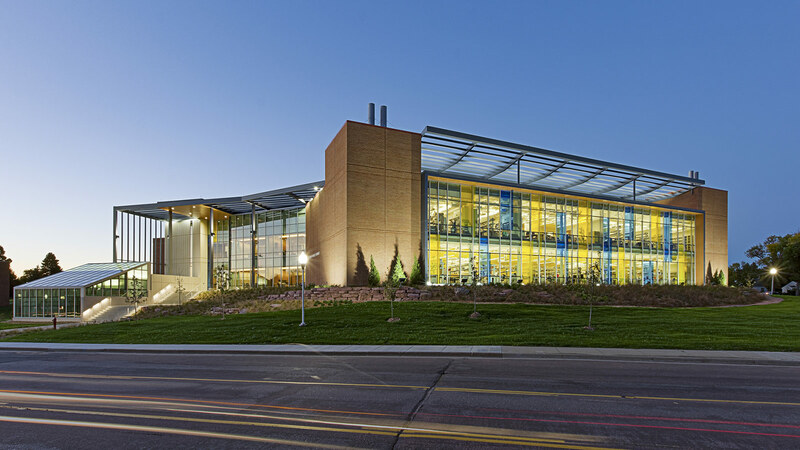 TSP + SmithGroup provided academic and laboratory planning and architecture, with TSP also providing engineering expertise. 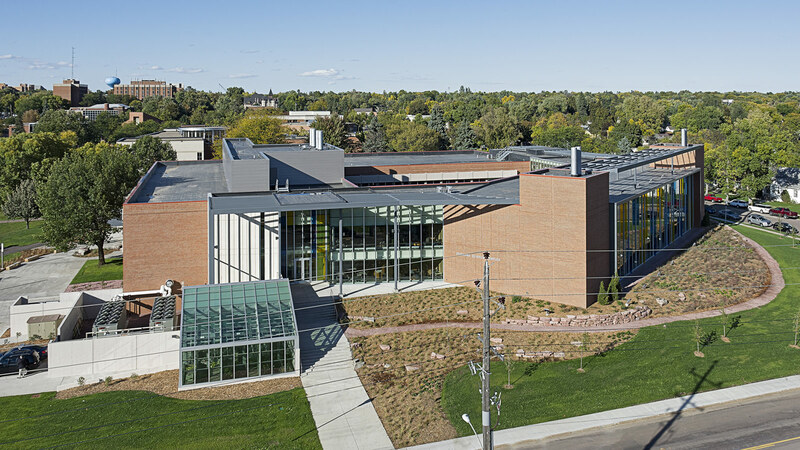 The work renovated and expanded the TSP-designed Gilbert Science Center, creating the Froiland Science Complex with a substantial addition. 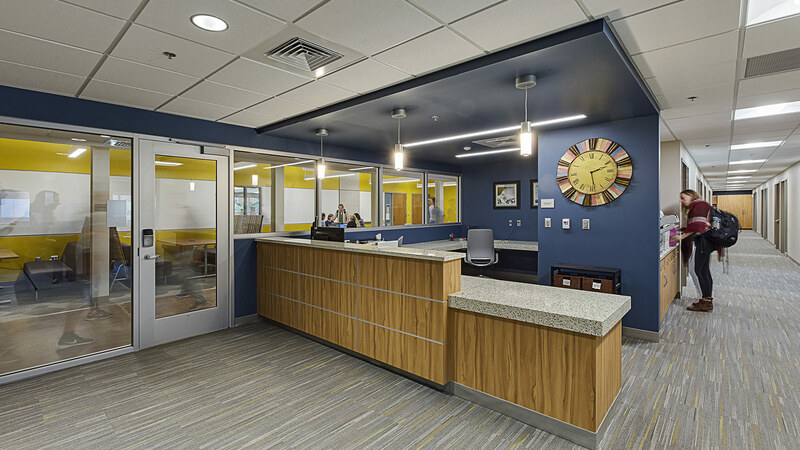 From the start, TSP looked for ways to make the 1966 building vibrant again, placing the same degree of thought and passion into the renovation as we did the new construction. 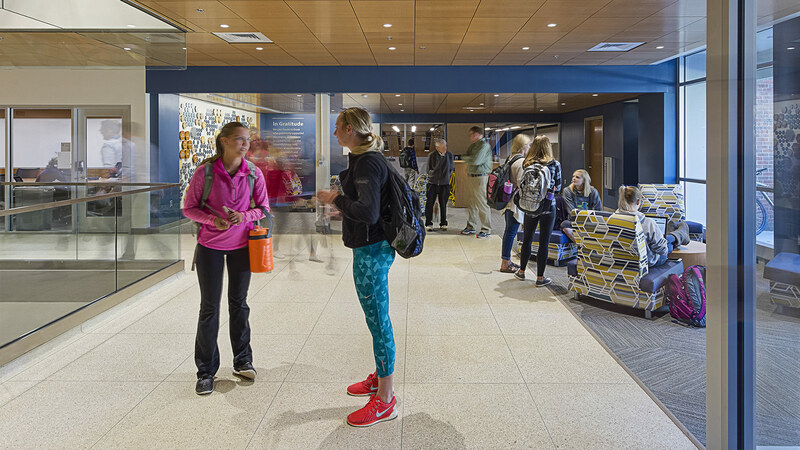 The result is a facility in which even returning students and alumni are hard-pressed to tell the all-new from the newly renovated. The Froiland Complex honors the Gilbert Center’s character and legacy. A mosaic installed as part of the original facility’s design was salvaged and placed at the entrance to the new auditorium. 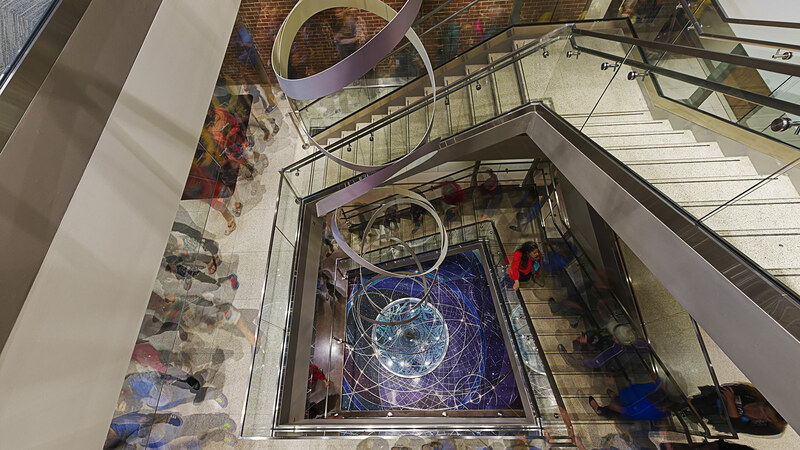 Augustana art professor and frequent TSP collaborator Scott Parsons reimagined the historic Foucault pendulum, which now creates a stunning display near an open stairway. 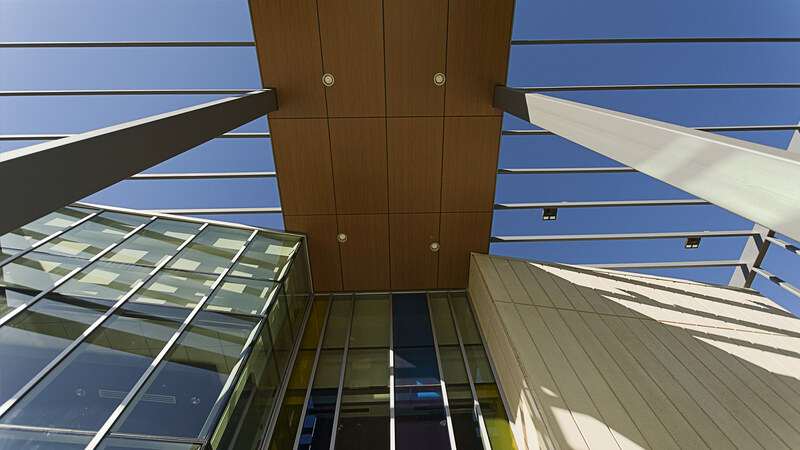 Eight departments share the Froiland Complex: Biology, Chemistry, Nursing, HPER, Physics, Math, Science Education, and Computer Information Science. 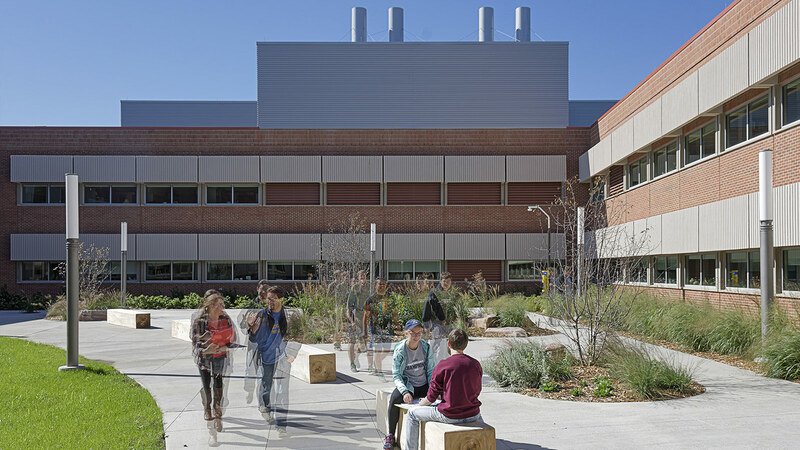 Within the complex are complementary educational environments and undergraduate research laboratories. 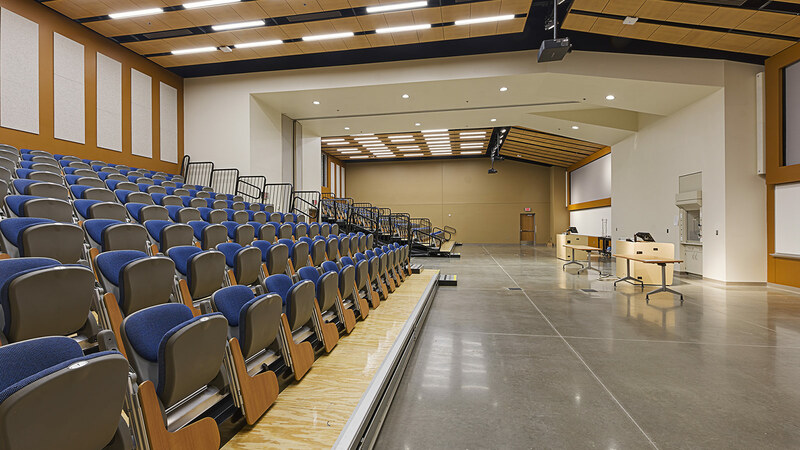 The project called for the complete replacement and commissioning of laboratory HVAC, plumbing, and electrical systems to match the level of learning that takes place within. 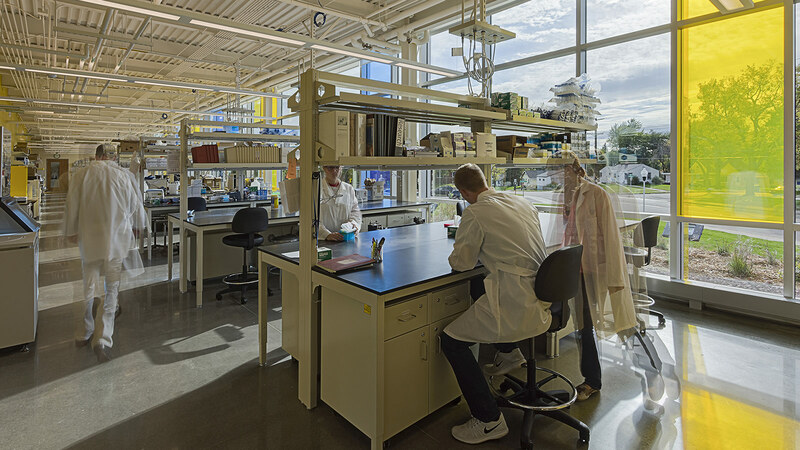 The Froiland Science Complex not only adds new program space for the Science Division, it creates a living laboratory. 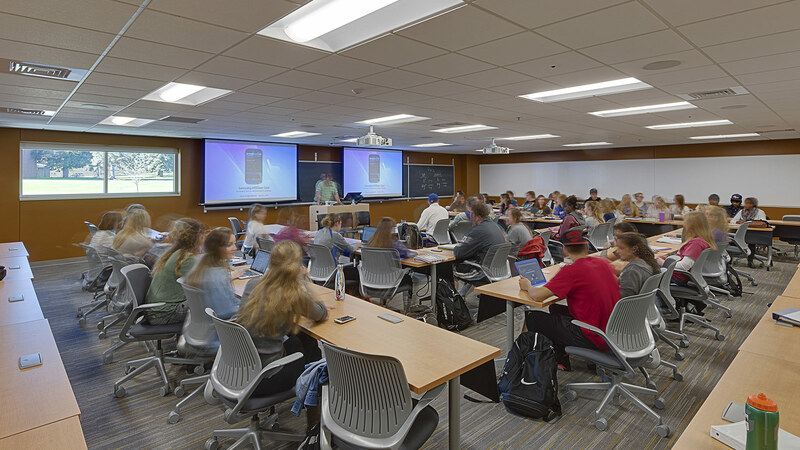 A significant amount of new student collaboration spaces are dispersed throughout the facility, encouraging collaborative “collisions” as students from different disciplines interact to work and share theories. 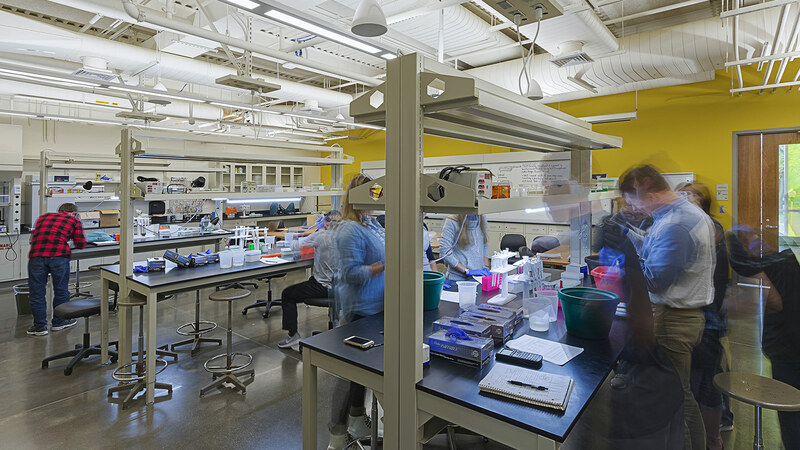 The complex’s design optimizes the use of teaching laboratories as “classatories” so learning can take place through demonstration as well as by observation. 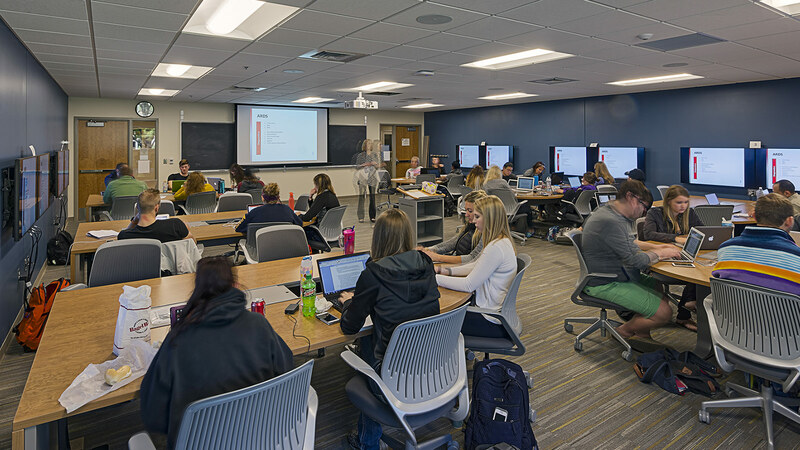 A majority of the instructional environments are Active Learning Classrooms equipped with new technologies and layouts to encourage team-based learning.